Gentle, horizontal conveying of bulk materials. No “Throwing”! 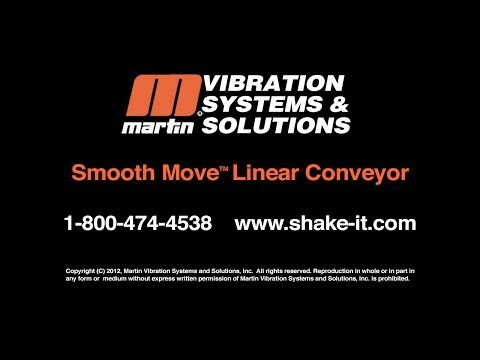 The Martin® Smooth Move™ Vibratory Linear Feeder system is designed for gentle, horizontal conveying of bulk material. 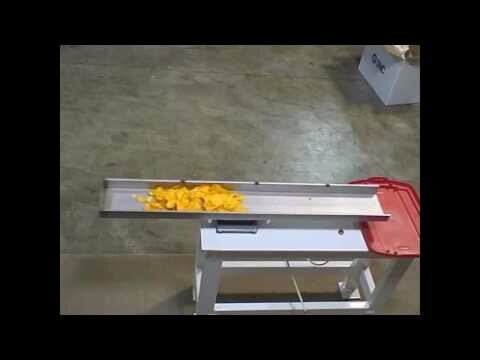 Traditional vibration conveyor systems work on the throwing principle, in which a product is “thrown” forward, following a trajectory parabola. With the Smooth Move, the material gently slides along the conveyor trough instead, which is made possible by a pneumatic linear drive. The conveyor output can be adjusted to suit the specific characteristics of the material to be conveyed by regulating the compressed air. The flat design allows applications even within confined space constraints. The vibratory feeder trays are available in a variety of materials, including stainless steel, steel or plastic. And it is possible to couple multiple Smooth Move systems together to handle larger loads or greater distances. The new Martin® Smooth Move™ Vibratory Linear Feeder is the best way to transfer food, containers, powders and other materials with total control over feeding rates and while handling the material in a moderate manner. And the easily removable tray makes this the industry’s lowest maintenance feeder. Contact us today to find out how the Smooth Move Linear Vibratory Feeder can solve your conveying challenges. MARTIN® NTS™ Linear Vibrators are lubrication-free, eliminating the use of messy, maintenance-intensive lubricators. No oil mist is discharged into the atmosphere. *Lubrication is required when air is dried by refrigerant method. Noise levels are 60 to 65dBA, well below regulatory limits. 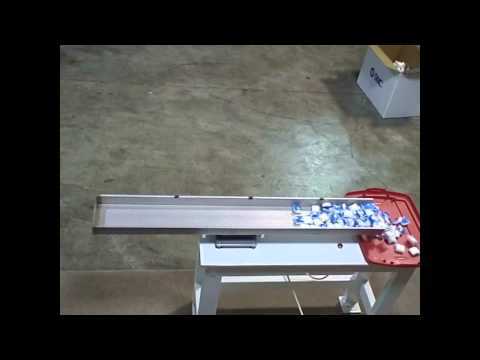 The most energy-efficient horizontal conveyor available. Instant on, instant off. Continuously adjustable, with frequency and amplitude that adjust independently. Special coating system sheds material buildup, won’t flake off. Perfect for high wash down areas. Air Preparation: 5-micron filter, pressure regulator & 3-way control valve. Warranty: 3-years when operated within recommendations. Supports are available to couple multiple Smooth Move Systems together or to convey more significant loads. 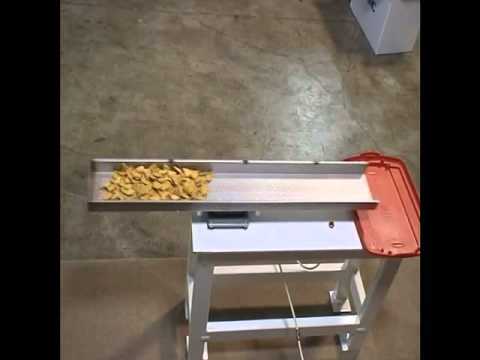 See the Martin® Smooth Move™ Linear Feeder in action! Using gentle linear vibration, the MARTIN® Smooth Move™ Linear Feeder moves delicate food products without bruising or causing damage. Constructed of high-quality stainless steel, steel or plastic for durability and easy cleaning. 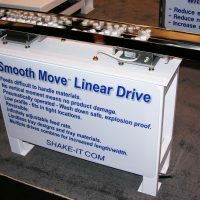 With the MARTIN® Smooth Move™ Linear Feeder, difficult materials are a snap to move from station to station. Adjustable vibration with intermittent setting. Stainless steel, steel or plastic tray lifts off easily for quick cleaning. The MARTIN® Smooth Move™ Linear Feeder is the perfect solution for moving breakable products like crackers or cookies without causing damage. The gentle vibration is adjustable with an intermittent setting. The tray, constructed from steel, stainless steel, or plastic, lifts off for easy cleaning. 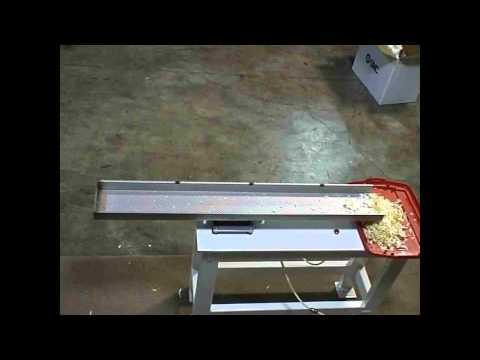 For food products that can be easily damaged, including cookies and crackers, the MARTIN® Smooth Move™ Linear Feeder uses gentle vibration to transport it from station to station. The plastic, stainless steel or steel tray is durable and lifts off easily for cleaning. 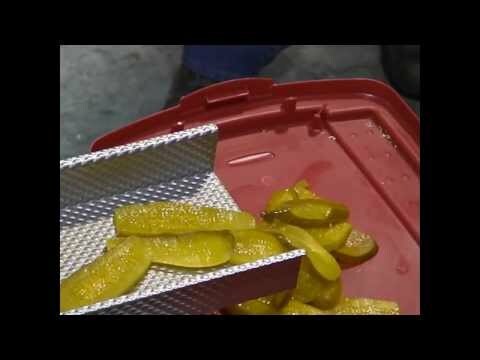 The MARTIN® Smooth Move™ Linear Feeder is ideal for moving wet food products, such as pickles, from point to point. And because the tray lifts off easily and is made from durable stainless steel, steel or plastic, it's easy to clean. 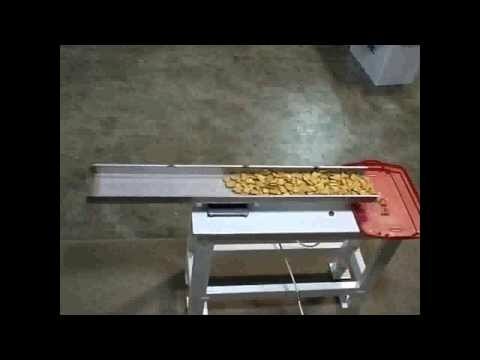 The MARTIN® Smooth Move™ Linear Feeder is the ideal solution for moving lightweight, fragile products like potato chipos without causing breakage. The gentle, horizontal vibration is adjustable with an intermittent setting. The steel, stainless steel, or plastic tray lifts off for easy cleaning. 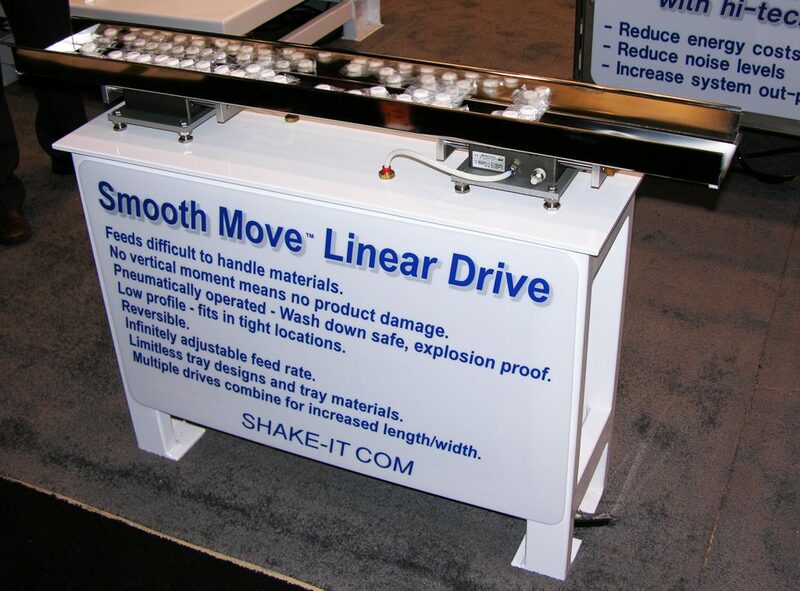 For conveying small plastic pieces, the MARTIN® Smooth Move™ Linear Feeder is your best choice. The gentle, horizontal vibration, with constant and intermittent settings available, does not cause damage. And the plastic, stainless steel or steel tray is highly durable and lifts off easily for cleaning.